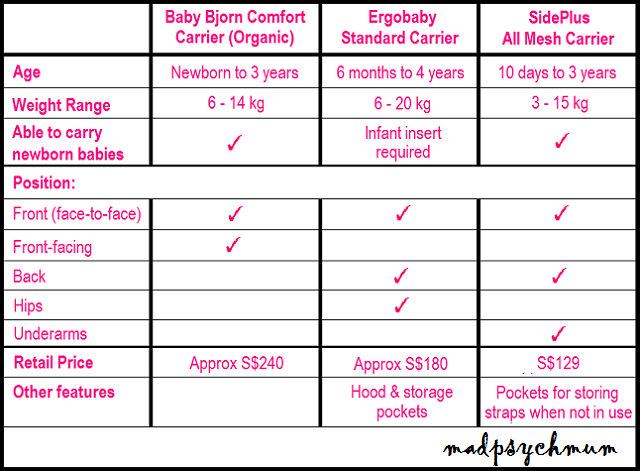 Originating from Japan, the SidePlus All Mesh Carrier was a mix of both my Baby Bjorn and Ergobaby carriers (see my detailed review of my Baby Bjorn & Ergobaby). 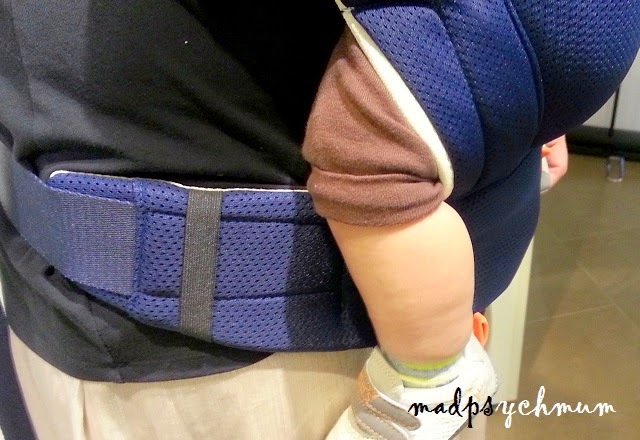 It had the safety support seat like a Bjorn but the soft material of the Ergobaby. 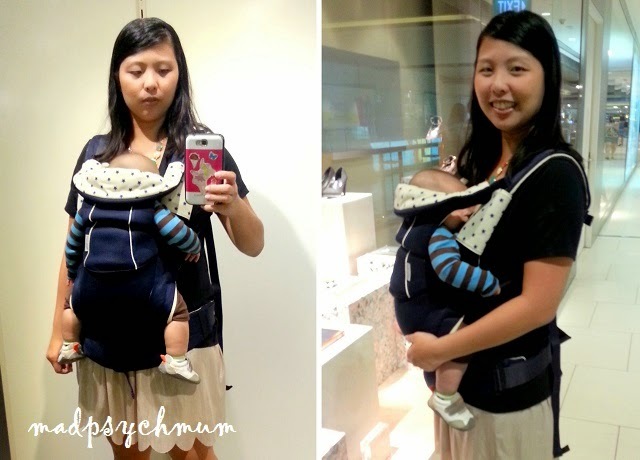 To test it out, I carried the Baby Boy in the SidePlus All Mesh Carrier when we were shopping for about 2 hours. 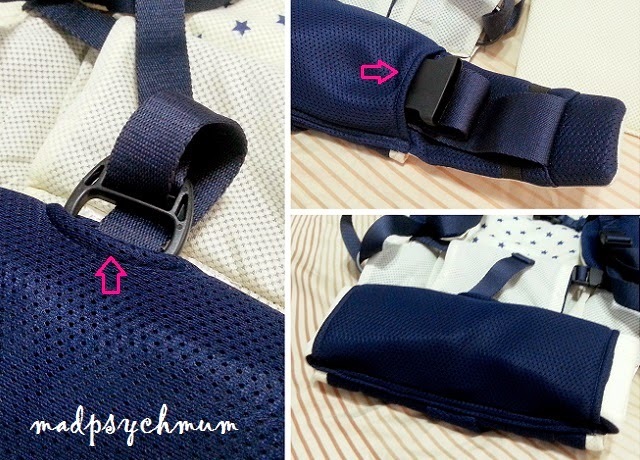 The padded shoulder straps and waist belt were very comfortable and I had no pain in my back even after carrying my baby for quite a while. I had expected the boy to feel a little strange in it (as it wasn't his usual carrier) but he didn't and even fell fast asleep. 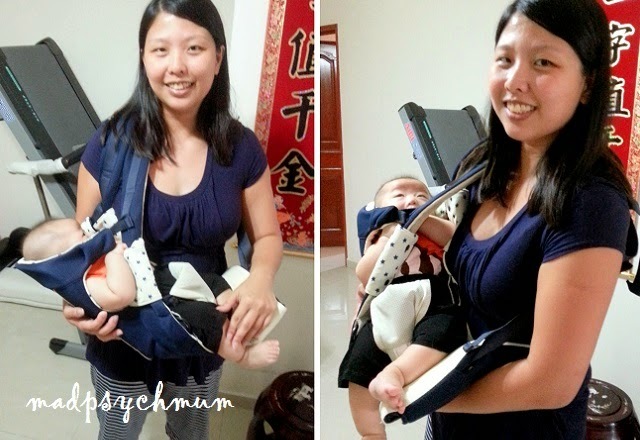 The carrier allows you to carry your baby in 3 positions: Underarm, Front face-to-face and Back. I couldn't test out the back-carrying position as Baby Boy is not big enough and my girl is too heavy for it. However, I did try out the underarm position, which is the most unique aspect of this carrier, as it was suitable for babies under 4 months. Make sure you've got the shoulder straps hooked to the right ring otherwise it will not be secure! Next, the Head and Back Support Board is inserted into the carrier to ensure the weak heads of newborn babies would be adequately supported. 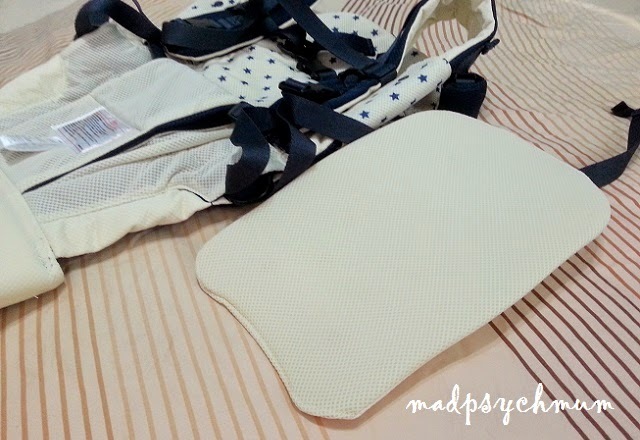 The board can also be inserted for the back-carrying position so that the back of the child is supported. I thought this was very useful as I remembered that my girl's back was arched when being carried in the Ergobaby (back-carrying position). Both the board and carrier are made of the All Mesh material, which is stretchy and allowed for better airflow so that both the baby and the wearer would be comfortable in our hot climate. I also liked that the carrier had pockets for storing the ring and waist belt when not in used. After inserting the board, place the baby on the carrier inside the safety support and straddle both shoulder straps over your head. I think this position is great for tiny, fragile babies with very little neck support. Not so much for my giant Baby Boy who was causing my neck to ache a little in the 15 minutes that I carried him in this position! *laughs* As you can probably guess, this is not a suitable carrier for heavier babies or toddlers as the maximum weight is only 15kg. 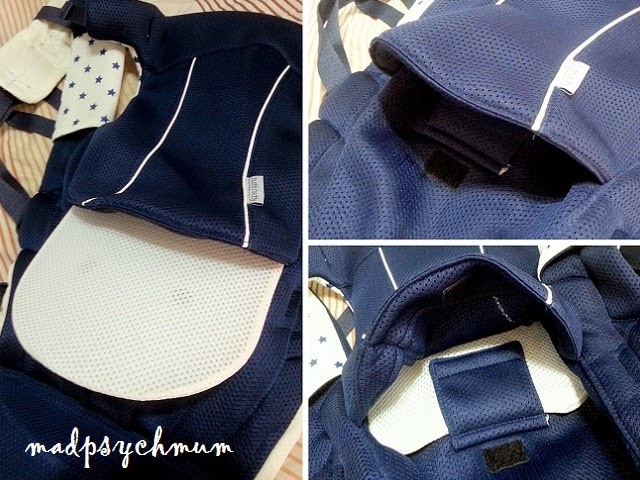 Overall, I liked that this carrier is versatile, affordable and value for money. Although the designs are simple, there are a few colours that you can choose from. We are giving away one SidePlus All Mesh Carrier to ONE lucky reader! a) This giveaway ends on 25th April 2014 (Fri) and is only open to readers living in Singapore. Disclosure: Complimentary carrier was received from MummyToon for the purposes of this review and giveaway. No monetary compensation was received; all opinions are my own.